Microsoft CEO Satya Nadella told employees last week he wants to reinvent the company, and now it looks like part of that vision includes massive layoffs. The Windows maker may be planning on firing more that 5,800 employees, making this the the largest worker cutback so far in the company's history. The employees on the chopping block could get their walking papers as early as this week, according to sources speaking with Bloomberg. 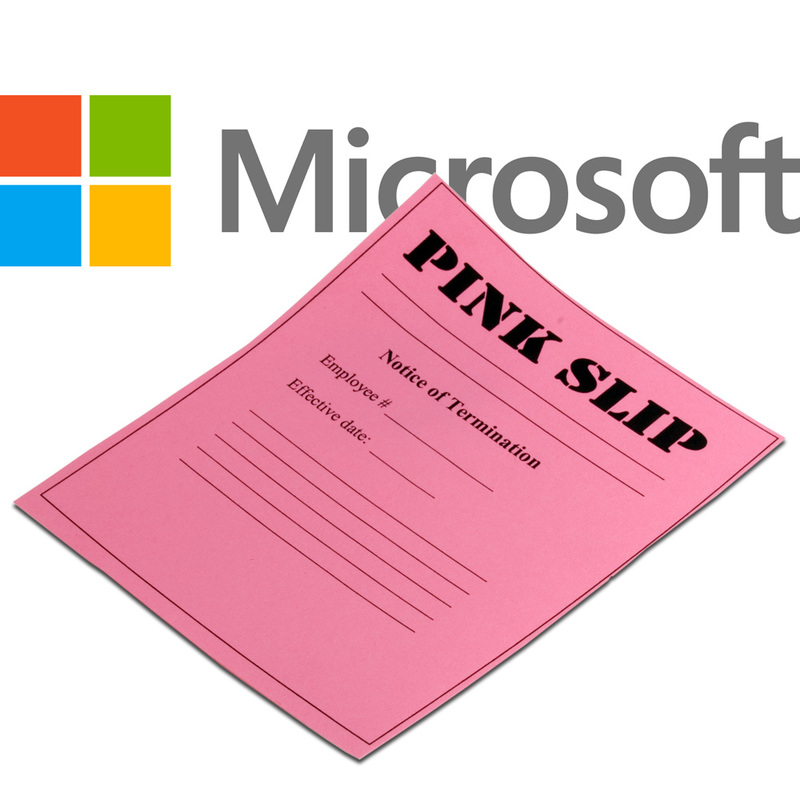 The cuts will hopefully help streamline Microsoft and make the company more efficient. Microsoft currently has more than 127,000 employees, including the 30,000 it absorbed when it bought Nokia's handset division. That's a lot of employees, and many of them are part of the company's marketing departments. Those marketing people will apparently be among the target group for layoffs, as will software testers. The layoffs will likely be staggered throughout the rest of the year, much like in 2009 when the company let go 5 percent of its workforce. Mr. Nadella promised more information about his plans for the company during Microsoft's fourth fiscal earnings report on July 22.